Hornby SR 4-6-2 'Royal Mail' '21C3' Merchant Navy Class (Un-Rebuilt). 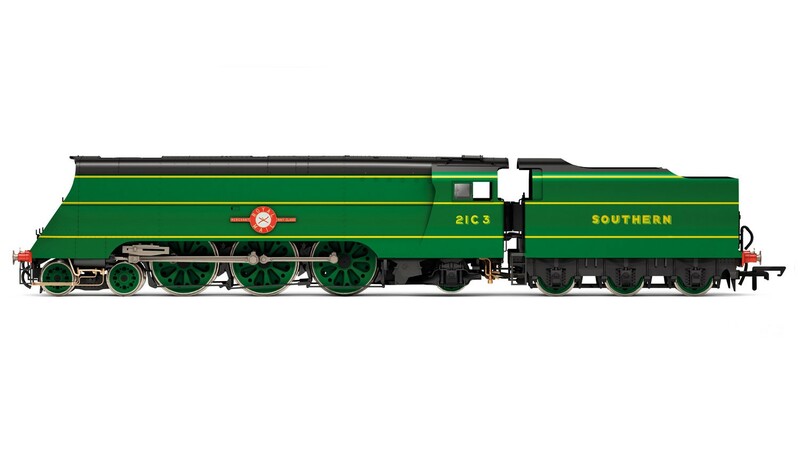 Wheel Configuration: 4-6-2, Livery: SR Malachite Green, DCC Ready, Fully detailed cab interior. Features: Tender Mounted DCC Decoder socket and provision for speaker. Small NEM tension lock couplings. Minimum Curve: Hornby 2nd radius + / 438mm+.